Douglass is holding the baton that symbolized his authority during his tenure as marshal of the District of Columbia. 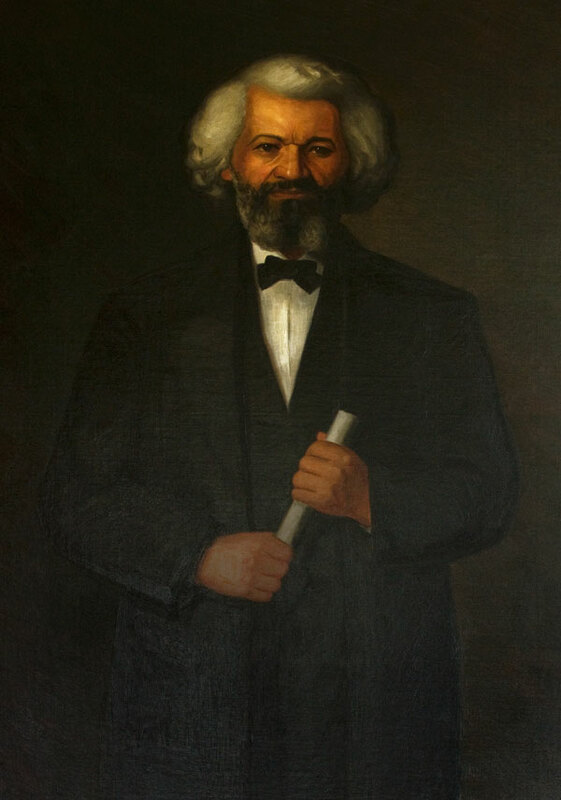 Douglass sat for this portrait during two visits to Rhode Island in the spring and summer of 1883. The artist, Eddy, was a sculptress and painter and a member of the wealthy Rhode Island family. She was active in reform, abolition and feminism movements.